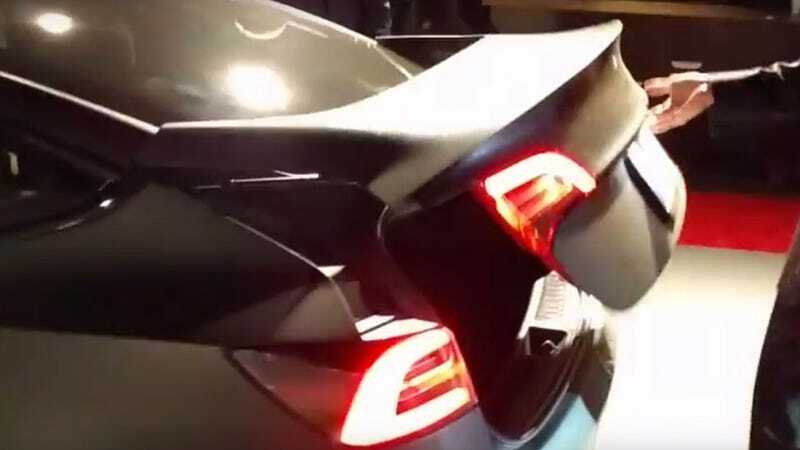 What’s the big deal with the Model 3 trunk (boot)? 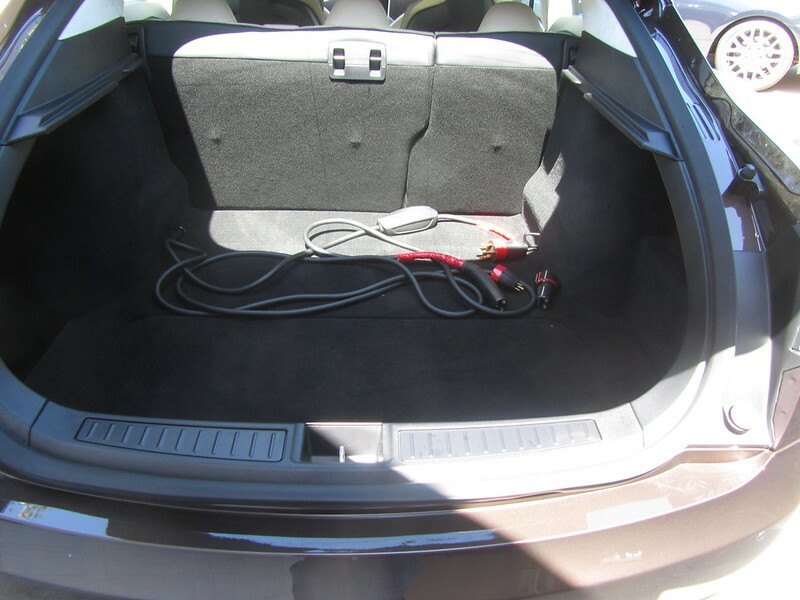 I was surprised to hear about all the turmoil regarding the PROTOTYPE Model 3 trunk (boot.) One of the first places I heard about this complaint was on Jalopnik’s article This is the Tesla Model 3’s Biggest Design Fail. Electrek also talked about the Model 3’s Frunk titled “Opinion: Tesla’s Model 3 AWD ‘frunk’, as shown in prototypes, is just a glorified glovebox”. As previously mentioned, the Model 3 designs that everyone has been discussing are prototypes. As such, I expect them to be close to what will be released, but don’t expect the cars to be exact. Remember, the Model X prototypes had cameras rather than side mirrors. Additionally, the Model X prototypes also had the same front nose as the now classic Model S design. (black nosecone). The prototype for the Model 3 shows a smaller car than the Model S and Model X.
Long-time readers will remember that I preferred the Active E to the Model S. It was all about the size of the car. I have since gotten used to the size of the Model S and it doesn’t bother me anymore. However, I still prefer a smaller format vehicle. My wife’s Roadster is great, but it’s her car, and it is smaller than I’m comfortable driving regularly (should she even let me borrow it to drive.) Though I haven’t seen the Model 3 in person, I surmise based on the pictures and information that this Tesla will be closer to the BMW Active E size and definitely outperform my old, beloved BMW Active E.
So, is the trunk and frunk too small for me? Well… Let’s see. I drove the BMW Active E for two years. It was a great little car, full battery electric and a range between 80-100 miles. As for the trunk, there was a reason that I used to drive the car to do our Costco Wholesale shopping. 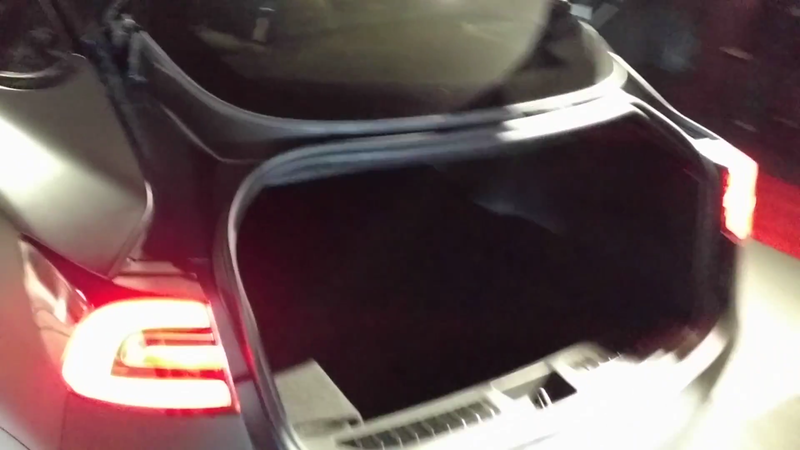 Here is a picture of the BMW Active E Trunk. 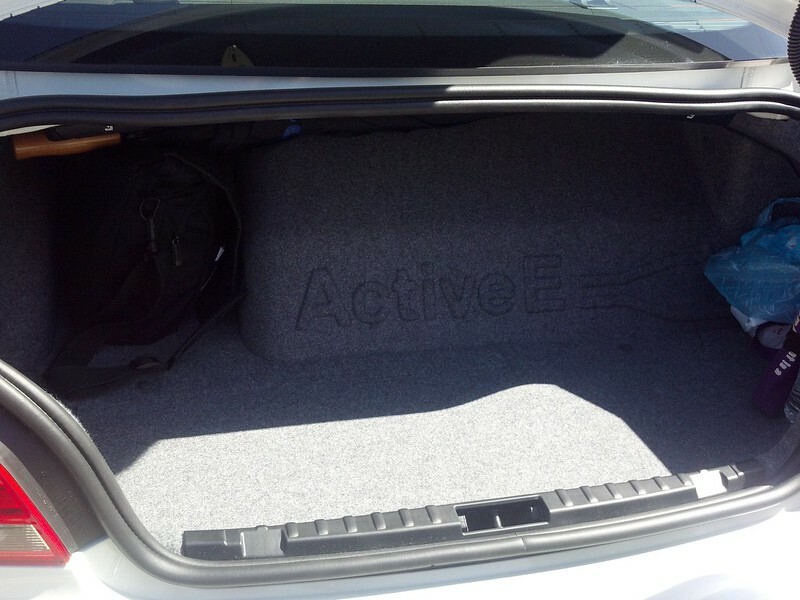 The Active E labeled portion of the trunk is the motor for the car. Beside the motor is a full laptop/briefcase and that was pretty much it for space. So, when I shop at Costco, I saved money. Here’s the one for the Level 1 EVSE. 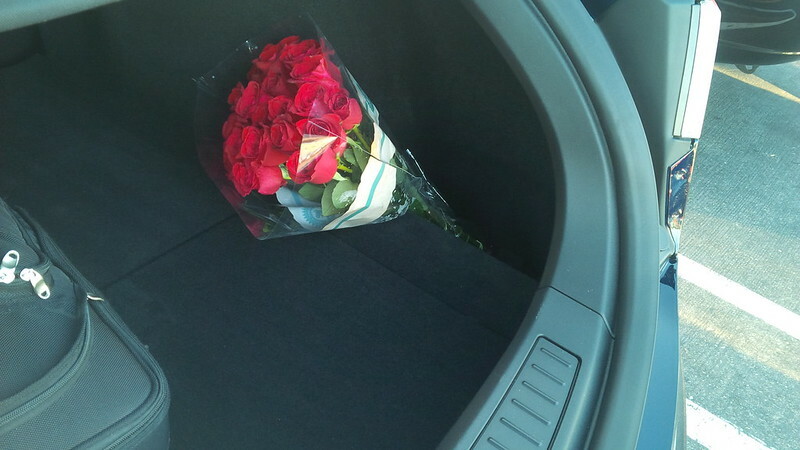 Though the car seems to have minimal space, I proved that back in 2012… Looks can be deceiving. 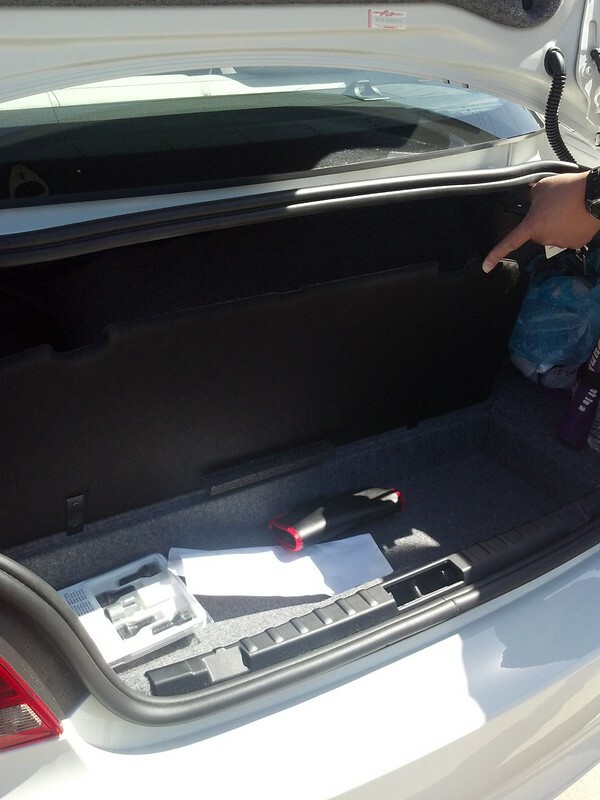 So, a “small” Model 3 trunk, probably not an issue for me. 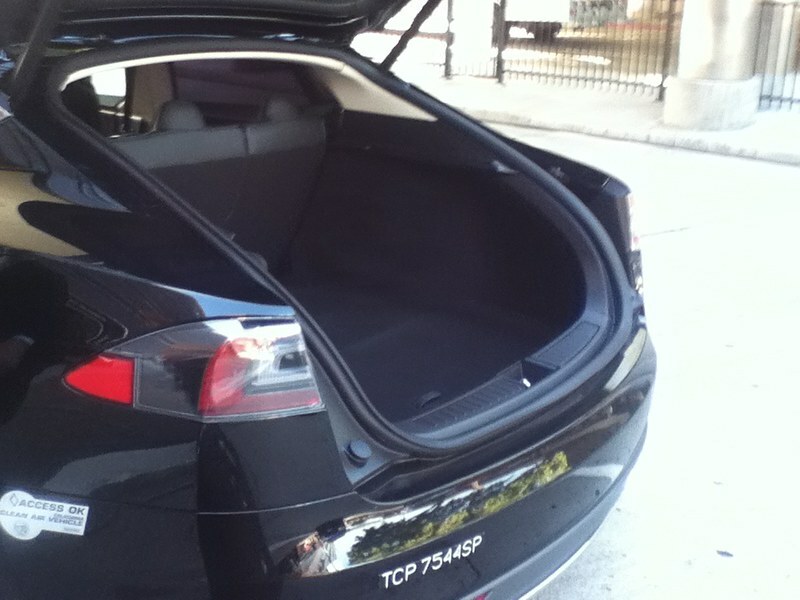 Just to remind folks, the Model 3 isn’t the only Tesla with a small trunk. 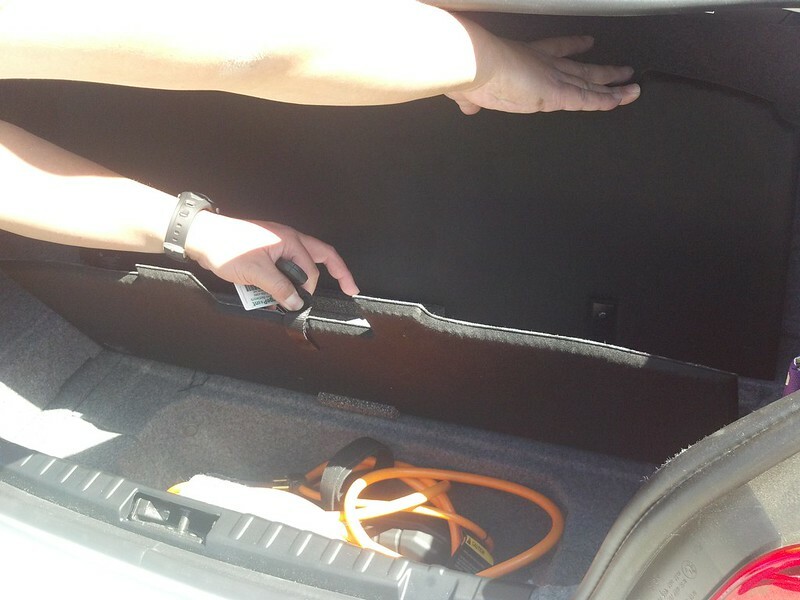 Check out the Tesla Roadster trunk below, it’s big enough to carry a set of golf clubs… For the driver OR the passenger. Folks are disappointed in the Model 3 trunk size because they have the Model S to compare it to. Here’s a loaner we had during our charging disaster with the Roadster. 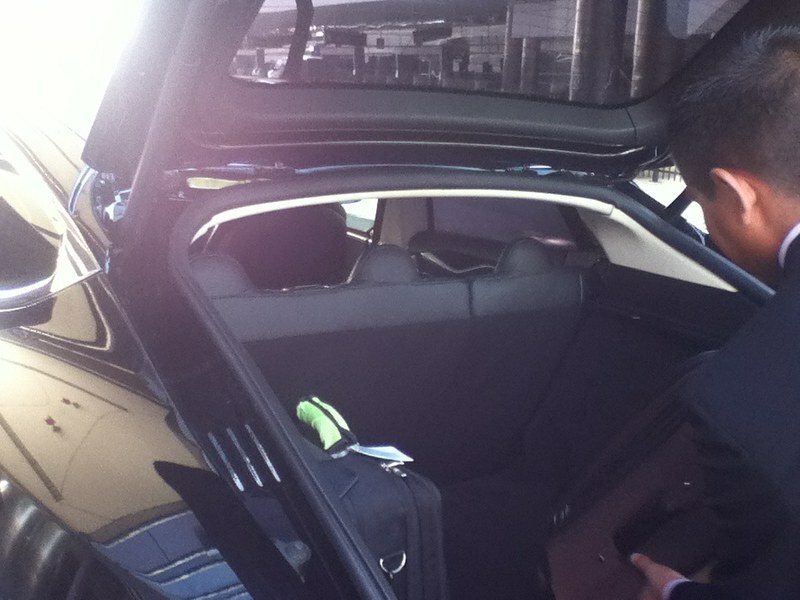 Here is the Model S from Quicksilver Car Service that we used when we picked up our Model S at the factory. It had plenty of room for luggage. 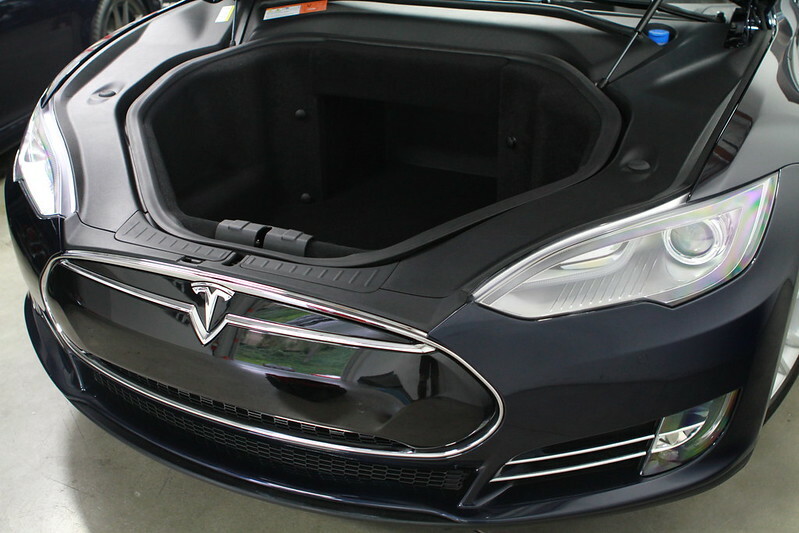 With the classic Model S with a single motor that we have, the frunk has a LOT of room as well. 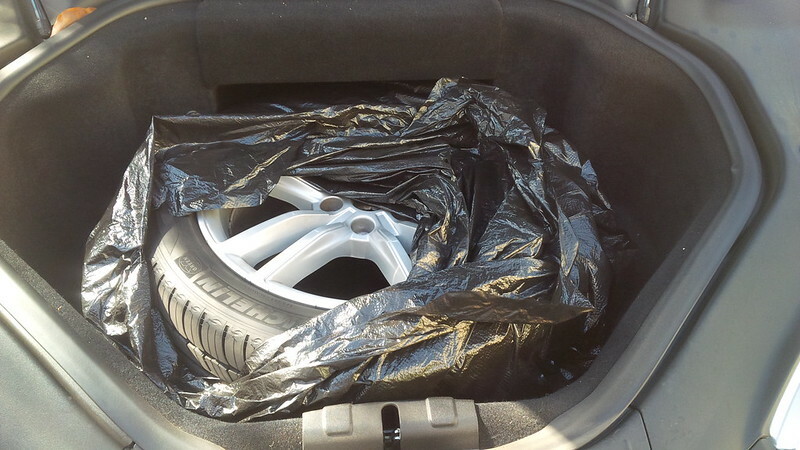 So much so that we now carry a spare tire in it when we do our roadtrips. 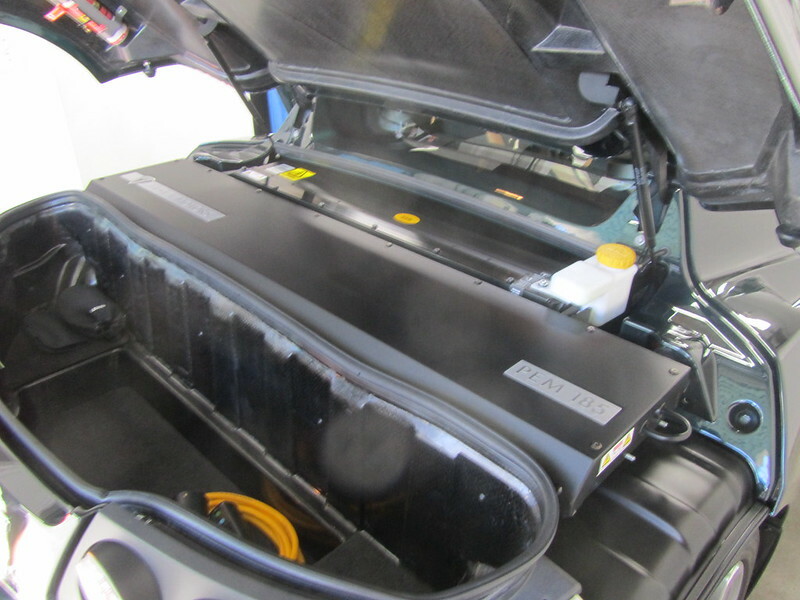 For a comparison, the Dual Drive Frunk on a Model S 70D loaner that I used in September 2015 is markedly smaller than the frunk on our classic Model S.
Since we didn’t opt for the Premium Sound package, we get side storage on both sides of the trunk. I’ve always found it the best place to bring home some flowers for the better half. Now, if they can make the Model 3 a Coupe… Or better yet, a hardtop convertible… That’s an option I would love. Considering most ICE vehicles have an ENGINE there, and Tesla had to build the forward structure to comply with ICE requirements, I’m not so worried. 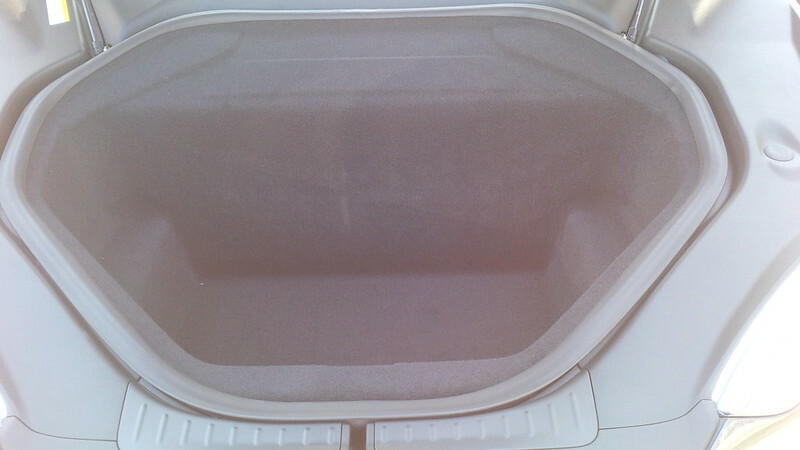 It is a well designed boot / trunk that maximizes load space and access …hinges do not intrude into boot / trunk.